Generation One by Pittacus Lore is the first novel of the Lorien Legacies Reborn Series which is the successor of the Lorien Legacies series. The sci-fi series, Lorien Legacies was a wild story of intergalactic war, started with the bestselling novel, I Am Number Four, and continued till the seventh novel, United As One released in June 2016. But that was likely not the end. Pittacus’s next novel, Generation One, is about the post-war generation as the battle for Earth is on and it’s going to be intense & enthralling. 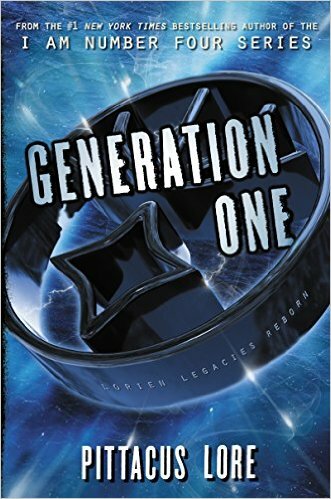 This book, Generation One by Pittacus Lore was released on 26 June 2017. Another thing to note is that Generation One by Pittacus Lore marks the beginning of a new series – the Lorien Legacies Reborn Series; so expect more of the adventure and thrill to come in following years. Check out the official video teaser Generation One has been released which features the cover of the book. Pittacus Lore is not the name of a single author but a collective pseudonym used by James Frey, Greg Boose, and formerly, Jobie Hughes. In 2010, under the name of Pittacus Lore, the three author released the first novel in Lorien Legacies series, I am Number Four, that became a hugely popular young adult science fiction novel. Later, in 2011, it was adapted to a film of the same name. After that, Pittacus Lore released seven more novels in the same series and almost 20 more in The Lost File Series. Pittacus Lore, The Last novel in the Lorien Legacies series was released in June 2016.